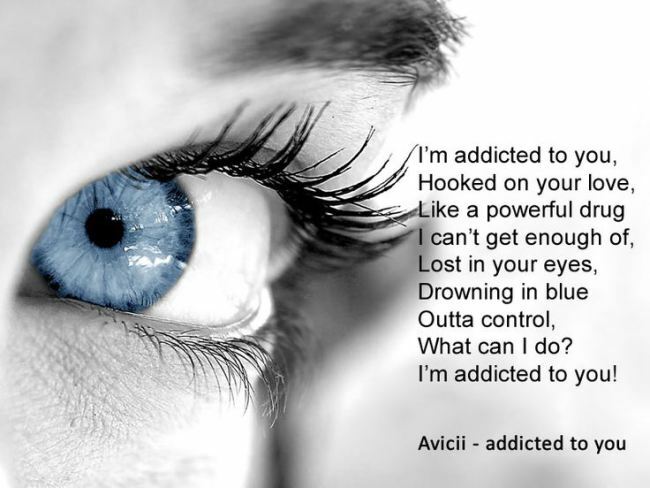 If you are an addiction, I know what it feels like to be a drug addict. If you are an addiction, I want more and more of you. If you are an addiction, I long for you. If you are an addiction, I crave you. If you are an addiction, you know that you feel like a drug to me. If you are an addiction, you know I want more and more of you. If you are an addiction, you know I long for you. If you are an addiction, you know I crave you. This entry was posted in Uncategorized on May 31, 2014 by sweetsilverkitten. Yesterday Daddy A and I were discussing relocation. That was something I was not comfortable with when I first began my journey into submission. So I slept on it and guess what? I still am not comfortable with the idea of me relocating. The exception would be if we were talking relocation to a different city in the same state, but that isn’t the case here. Here we are talking about relocation to a different state. Of course I want to make Daddy happy. Yes I trust him but I am not ready to relocate that far yet. Who will watch over my grandmother? How will I connect with the few family members I am close to? Where will I find the resources I need for my visual impairment? Will there be an affordable transportation service for me where Daddy A lives? I don’t want to seek out a new therapist. I don’t want to get rid of my cat. He has become even more like my child ever since my miscarriage but A is allergic. How will I connect with other visually impaired people? How will this all work? And how on Earth would I explain to my family that I am a sub, and that I am relocating to be with my Dom? That won’t go over too well. I don’t know if relocation is even an option for me. I don’t know if it will be anytime soon. How will I explain all of this to Daddy? Couldn’t we have visits for a while and see how things work? Oh no, am I not a submissive because I am asking all these questions? This entry was posted in D/s and tagged LDR, Relocation, Submission on May 29, 2014 by sweetsilverkitten. I understand now. Last night I had an emotional meltdown. Normally it isn’t that hard to identify my own emotions, but yesterday it was very difficult. I was all over the place and I could not figure out what I was feeling exactly. That’s when I tried to write it out in a journal that my Dom would see. My writing went from angry, to lost, to desperately wanting to please Daddy A. I would even go so far as to say that it was the rawest expression of thoughts and feelings I have shown since our relationship began six months ago. I thought I felt better after writing about it but when A said he wanted to talk, I knew he had read my journal. The fear returned and I fought with myself about whether or not I should have expressed myself so openly. Daddy didn’t get angry; he was patient, calm and understanding. His words were very honest but they did not upset me. It’s like he understood me, every part of me. My feelings mattered. Today I came across a group discussion about another sub’s first meltdown on her journey with her Dom. That’s when it hit me. My meltdown was less about A’s actions and more about my resistance to surrender completely and trust him not to be like those who have hurt me before. I struggle with abandonment issues. So in life, my defense mechanism has always been to remain in control, especially of my emotions. When I feel that someone has gotten to the deepest parts of my heart, I shut down and push them away because to me, this is regaining control. But it can’t be that way in this relationship. I cannot be in control in this relationship. I do not want to be in control in this relationship. I desire to submit to my Dom with every part of my being. Self revelation is a wonderful thing! Is it not? This entry was posted in D/s and tagged Control, Emotion, Submission on May 25, 2014 by sweetsilverkitten. This entry was posted in Uncategorized on May 24, 2014 by sweetsilverkitten. This is hard for me. And anybody who comes across this might say that I am being selfish but I don’t see it that way at all. I have really been missing….lets call him A. It would seem that he has been so busy lately. Perhaps too busy for me. Believe me, I understand his circumstances with his mom being sick and all. She needs him. He does quite a lot for the rest of his family as well. I see that and I try hard to keep that in mind when I am feeling like this. But sometimes I can’t help but wonder if I came into his life at the wrong time. I feel like A doesn’t have time for me. We spoke briefly Wednesday morning, I did not hear from him at all on Thursday, and Friday I only got one or two replies to my messages. I’m feeling pretty unimportant right now. This isn’t the first time something like this has happened, but things were going so well between us for a while, so I felt better. I try to focus on reading and learning more about the lifestyle I have chosen, one of my tasks. I try to socialize with other subs and littles to pass the time when he is away but it still gets to me. It still hurts me. I still feel alone. These are my true feelings but I feel guilty for feeling this way. A is a caring Daddy and a good Dom. I am in no way trying to place myself above his duty to his sick mother. I just want to feel like his little princess again. And we are already in an LDR, I want any less time with my Daddy. I can feel that A is stressing and I really want to help. But if he cannot come to me after his busy day, I cannot provide comfort and relaxation for him; I can’t help him and I feel like I am not doing my job… And that hurts more than he knows. How else can I explain this? This babygirl just really misses and cares deeply for her Daddy. This entry was posted in DD/lg and tagged Daddy, LDR on May 24, 2014 by sweetsilverkitten. Those words, I love hearing those words from him. Those words cause an explosion of butterflies in my stomach. They make my heart flutter. He can push me and bring me to the point of mental and physical exhaustion as long as I hear those words when it is all over. A simple two words that mean so much to me. Daddy says them and I know that I have done well. I know that I have pleased him. I know that he is proud of his babygirl… And that’s all I need to be happy. This entry was posted in Uncategorized on May 20, 2014 by sweetsilverkitten. This entry was posted in Uncategorized on May 13, 2014 by sweetsilverkitten.